RSN acts as an advocate for people who have chronic kidney disease including those on dialysis, who have a transplant or want to donate a kidney. Learn more about RSN’s advocacy program and how you can get involved and make a difference in the lives of people who have been affected by kidney disease. Why Advocate for Kidney Care? 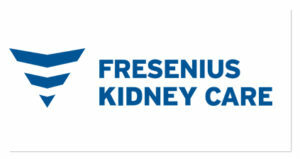 Each year, nearly 100,000 people are newly diagnosed with kidney failure. End Stage Renal Disease (stage 5 CKD) is the ninth-leading cause of death in the United States. Only one thing can help change the course of this disease, and that is for anyone who is affected by it, whether patient, family member or renal professional, to get involved. Join us in educating your elected officials about how they can help with legislation relating to kidney disease, access to treatment, dialysis, transplantation and organ donation. Medical decisions are made by medical professionals in a clinical setting, such as in a dialysis center, hospital, or doctor’s office. Compared to regulatory or legislative, medical decisions are often the easiest type of decision to modify or revoke. You have likely witnessed the making of many medical decisions during your experiences with CKD, such as when your doctor decides to change the amount of time that you spend dialyzing during each treatment. Regulatory decisions are made within industries or within the bodies that oversee these industries with the intent of regulating a certain problem or legislative requirement. The regulatory decision-making process allows for a period of public comment, which enables the rulemaking body to make their decision(s) based on all of the evidence submitted. Regulatory decisions are made at either the state or federal level and impact areas such as public health, environment, and safety. 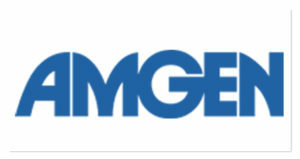 Examples of areas of regulatory decisions and regulatory decision-making bodies include: the Food and Drug Administration, the Occupational Safety and Health Administration, and the Department of Health and Human Services. Legislative decisions are made within one or both bodies of Congress (i.e., the House of Representatives or the Senate), must be passed by vote, and approved with the President’s signature in order to become a law. 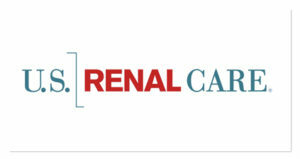 RSN’s advocacy program focuses on State/Federal regulatory and legislative issues that impact the care of people who have chronic kidney disease. Including dialysis and kidney transplantation. Send a message directly to elected officials and stay up-to-date on State/Federal regulatory and legislative issues that impact the care of people who have kidney disease. Do you know who your local, State and Federal regulatory and legislators are? Do you know the most effective way to communicate with them? Find out here. Communicate your concerns to your representatives via Facebook, Twitter and Instagram. Find your state and federal level social media accounts here. Learn if you’re eligible to vote, how to register, check, or update your information at USA.gov in English and in Spanish.